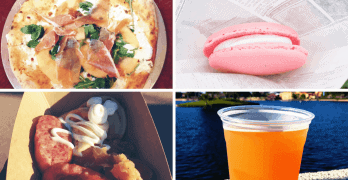 Although Hollywood Studios isn’t quite known for it’s food like Epcot and it’s World Showcase, you can still find some pretty delicious treats, sweets, and eats at this park. So with that being said, let’s jump straight into this tasty Hollywood Studios food listing! 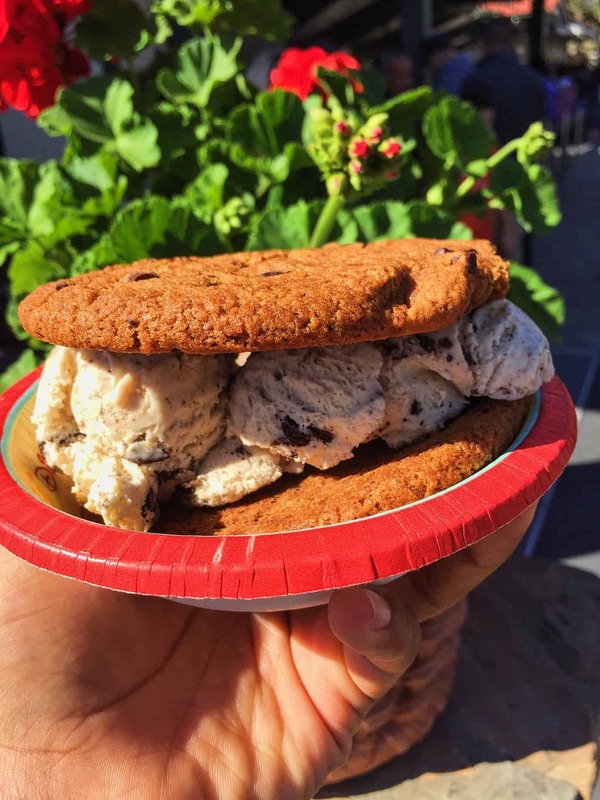 Here are the 10 best things that you absolutely must eat at Hollywood Studios. Picture this – Creamy and thick cream cheese icing sandwiched between 2 soft and jumbo carrot cake cookies. Mmmm. Get it from Writer’s Stop or Sweet Spells. 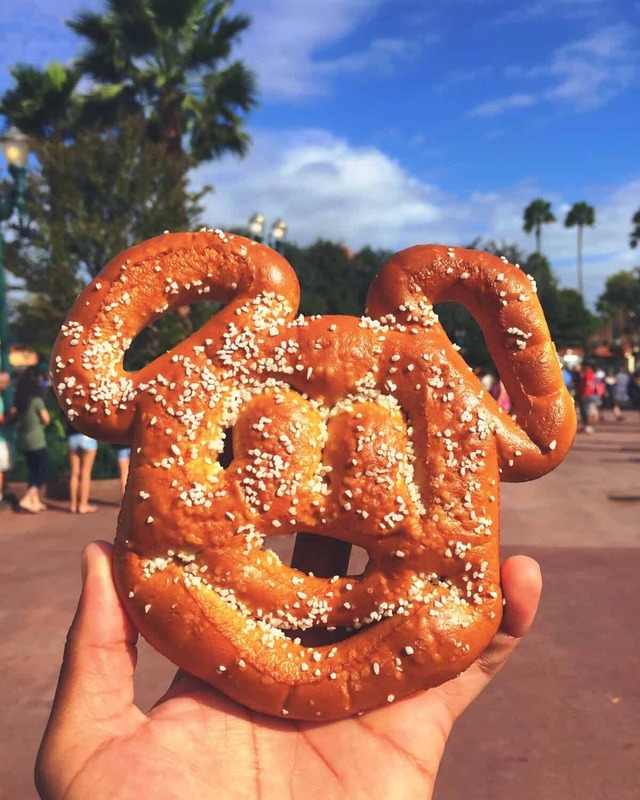 Mickey pretzels are just perfect. Get it from all pretzel cart locations throughout the park. Moist red velvet cake topped with thick cream cheese icing and candy crumble. Get it from Starring Rolls Cafe. Golden-fried chicken, fork tender pot roast, and traditional meatloaf with all the fixings. Get it from 50’s Prime Time Cafe. Two soft chocolate chip cookies filled with your choice of ice cream. Hands down the best bargain under $5 at Disney World when it comes to desserts and snacks. Get it from Hollywood Scoops. Chocolate cupcake filled with peanut butter topped with, you guessed it, peanut butter! Not going to lie but Disney’s personal pizzas are pretty chewy and delicious. Get it from Catalina Eddie’s and Pizza Planet. Best fried chicken in Disney World. Get it from 50’s Prime Time Cafe or the Tune In Lounge. Imagine eating a butterfinger candy bar. Then imagine it in cupcake form. You can’t leave Disney World without devouring one of these delicious smoked jumbo turkey legs. Get it from Toluca Legs Turkey Co.
And for more delicious Disney food photos and more, be sure to follow me on Instagram!